don't let me just hear it. 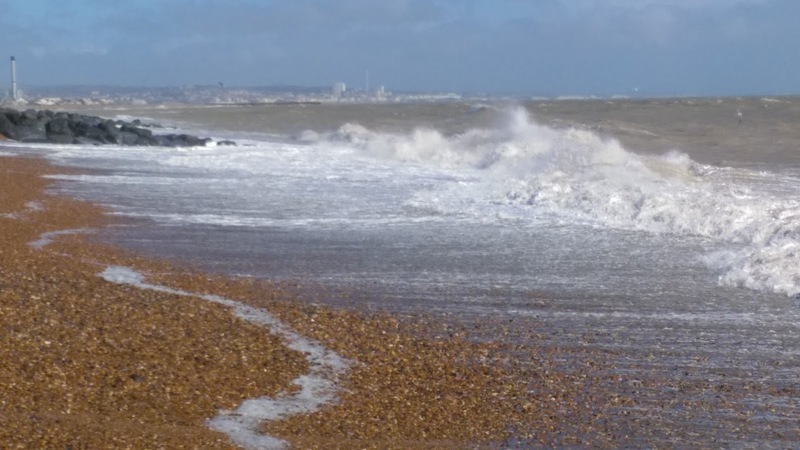 I returned to London after two days away, right in the eye of Storm Katie(on the night of Easter Sunday) on the West Sussex downs, near Shoreham. The howling and shrieking storm was so wild where we were, on the top of a hill, that at c. 2:30 a.m. a strip of amalgamated metal about 8 foot long and 3 foot wide was ripped from the roof right above our heads. As I had no idea that is what had happened(until the following morning) and as it now quietened down, I immediately fell fast asleep in spite of continuous winds, driving rain, and slept soundly until 8 a.m. Someone asked me if it was scary, that storm. The answer is no not really, it was exciting and quite dramatic. I was quite safe, staying in a warm hostel, no leakages occurred in spite of the missing roof panel. Not like the awful damage the flooding caused recently to people's homes. It was brought home to me by a poor woman probably my age ish, being interviewed by some news channel about the damage to her home as she was being evacuated. The ground floor of her house, with all her cosy things in it was under 2 foot of water - dirty, smelly water at that. Suddenly her face crumpled and she started to cry. and all at once it turned from a piece of news broadcasting, that one views dispassionately, to real life and the effect on a real person and the suffering caused by a terrible storm. That poor woman's plight brought tears to my eyes. Later I drove with a girl called Edna, down to the beach. I was brought up in Swansea and have always been happiest where I have regular access to the sea. 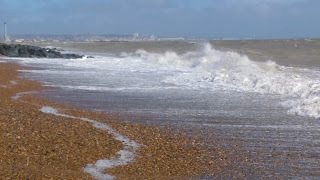 I love the sea on a wild day - great breakers smashing on the rocks and spray rising high into the air - the drama of it. Edna went off walking on the beach and I sat close to the water on a rock, safely above the incoming surges and watched the breakers rolling in and then sucking out - a long drawn out gravelly sound, repeated over and over, a soothing rhythmic sound, like a chant. Rumi's ocean metaphor stands for being a full-on participant in life, not just an observer. I hope that at the end of my life (whenever that may be), looking back I will feel able to say that I 'let it splash in my chest'. Look at My Courses tab for further details.